Multi-tier shelving is the construction of shelving at two or more levels using the same components used for selective pallet racking or heavy duty shelving. Multi-tier Shelving is suitable for medium to large size warehouses. It is ideal for storage and distribution of large small parts SKUs. Multi-tier shelving provides storage space at multiple levels, thus maximizes the utilization of vertical space available in a warehouse, making it easier for businesses to store more of their inventory, thereby increasing the capacity of the warehouse as a whole. Smart Storage System offers wide range of decking options to fulfill your exact requirements. Various accessories like divide panels, partitions, side plates, can be used for division of storage areas and levels for stacking multiple products. Each level of the multi-tier storage can be accessed by staircases, main aisles and cross aisles. We also provide Goods Lift / Scissors Lift to reach goods in limited time, it also ensures heavy item movement to the required floor with less movement which helps warehouse team to stack and distribute Product. This system allows reasonable access to all units stored and is adaptable to different load and storage units. With an efficient and versatile design and broad range of optional components and accessories, our shelving systems can be easily adapted to your specific storage requirements. With stable manufacturing process and high-quality workmanship, ensures that the multi-tier storage solutions that we provide offer improved efficiency and complete safety for your employees and products, thus, making us a preferred storage system partner for businesses across industries. racks in the heavy-duty manufacturing industry? 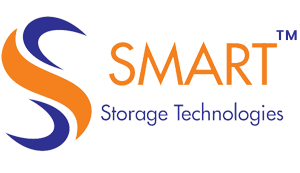 © Copyright 2018 Smart Storage Technologies All Rights Reserved.